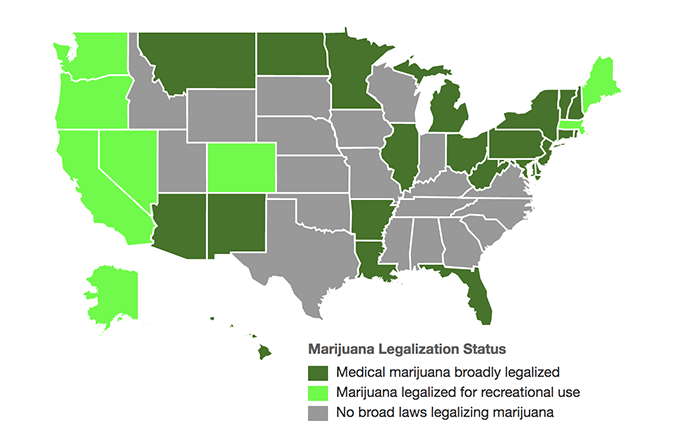 Thirty states and the District of Columbia currently have laws broadly legalizing marijuana in some form. That is more than half of the U.S. as of today, with more states queuing up to legalize and collect the billions in tax revenue created by cannabusiness. The Legalization of Marijuana is Big Business for Print. According to Marijuana Business Daily, retail cannabis sales will reach as high as 17 BILLION by 2021, a 300% increase from 2016. That isn’t just big business, it’s booming business and one that print has a vital role in. Just over a year ago I read the most interesting article about this guy who opened a medical marijuana business. Despite it being a legal business, he couldn’t escape the “drug dealer” categorization and was having trouble creating vendor and other professional partnerships. He invested in very expensive business cards – like ridiculously expensive – with every imaginable “high-end” finishing technique applied. That card validated him as a business professional, legitimized his business, and he cited it as the reason doors were being opened that were previously closed in his face. That is the Power of Print. Recently I was in Amsterdam thanks to Chili Publish #SPICYTalks18, and I took a tour of several Coffee Houses… for research 😉 These OG cannabusinesses do serve coffee, but I totally recommend you try the hot chocolate if the opportunity arises. Warm beverages and smokables aside, you know what else they serve in droves… PRINT! 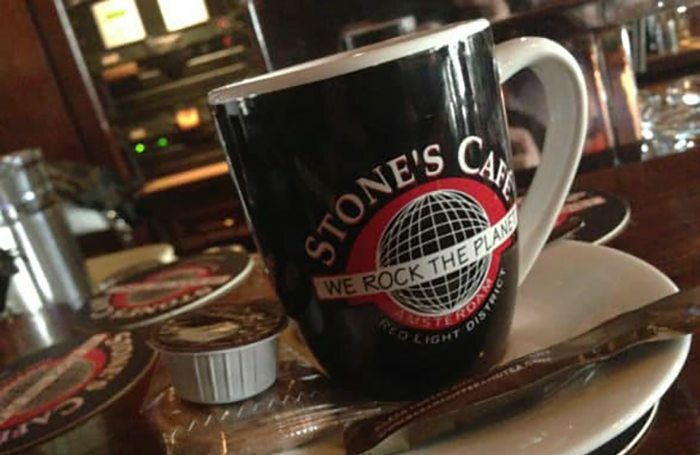 Packaging, labels, menus, signage, table, floor and wall graphics, souvenir T-Shirts, mugs and a multitude of SWAG were staple items in all of the shops. And they don’t do the medical thing which ups the ante exponentially for print opportunity here in the U.S. So yeah, there is that “elephant in the room” about the United States Federal Government not recognizing the legalization of marijuana, despite it being legalized by states. And that causes some real financial issues for many cannabusinesses that have to conduct business and pay taxes with cash. HOWEVER, according to the Marijuana Business Daily, 70% of cannabusinesses now have accesses to a basic business account from banks and credit unions. They can’t get merchant accounts to process payments or a commercial loan in many cases, but they can pay for print! I did a search for cannabusiness + print and only ONE printer popped up, granted a genius business-owner who took “Cannabusiness Printing” as a business name and url. To me, that signifies it’s wild, wild west land grab time at the cannabusiness coral. If your company is in a position to HELP these small businesses with huge printing needs and significant budgets, what are you waiting for? That map will help you track down more than 28,000 cannabusinesses (of some legal form) curently in operation, and/or plan your next relocation to “greener” pastures. I am not a lawyer, nor do I play one online. Despite the vast opportunity to make a killing in the cannabusiness print market, make sure you are cool to pursue that without any legal ramifications. Assuming you are good to go, visit some cannabusinesses and take in their print experience. See how you can help further “legitimize” that experience with higher-end products. Help them create a fully immersed in-store graphics environment. Help them create customer loyalty programs and direct mail campaigns. 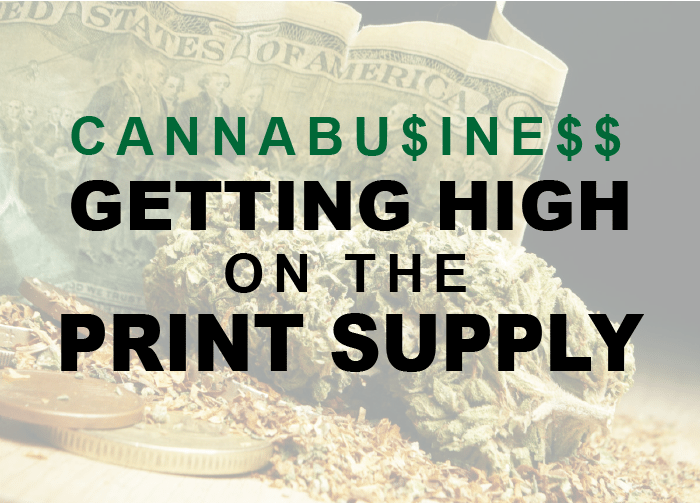 If you are already in the medical print space and you can be flexible on quantities, start a new division dedicated to cannabusiness. One success will lead to more, and overall volume will grow through new customer acquisition. There are not a lot of friendly faces helping these small business owners, word will travel fast that you can. And soon it will be 4:20 everywhere. Get in on the ground floor of this unique print and marketing opportunity, and take your print business to new heights. 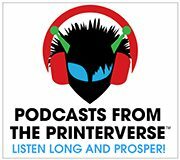 PS… Podcasts from The Printerverse are here!! Listen Long and Prosper! Deborah Corn is the Intergalactic Ambassador to The Printerverse at PrintMediaCentr, a Print Buyerologist™, industry speaker and author, host of Podcasts from The Printerverse, cultivator of Print Production Professionalsthe #1 print group on LinkedIn, host of #PrintChat every Wednesday at 4PM ET on Twitter, and the founder of International Print Day. She is the recipient of several industry honors including the 2016 Girls Who Print Girlie Award, and sits on the board of the Advertising Production Club of NYC. It’s a very hot topic roaming currently in USA and Canada. And the market, where everyone is looking, of Retail in Cannabis and Digital Signage has become the place of investment for everyone. Don’t know how the collaboration is going to happen, but yes digital signage industry will get new heights with the legalization of cannabis business. Living in Colorado, where fields are “green” and competition for the best pasture here is well…. Enough with the metaphors. Honestly I can say, from my point of view, I believe,less the “glamorous” is usually the better “pasture” soooo…. Hope that helps a little. I owned a print company in Colorado during the recession and I can’t thank the green revolution there enough for keeping me in business (and yes I had voted against it). When corporate and governmental bodies were extending terms due to the recession it nearly knocked me out despite significant sales growth simply due to cash flow. The wave of green businesses flush with cash ready to pay up front was the right thing at the right time to save many of us during the recession. This is still a new industry, don’t miss your opportunity to help someone make their business legit and to build that loyalty at the ground level. They will grow as this industry takes off and if you’re there for them now, you will grow with them.